Education: Deb Lee graduated with masters in Journalism and Mass Communication from Kent State in December 2011. Undergrad degree from West Liberty University in West Virginia. Current Position/Job Duties: Multimedia Journalist. 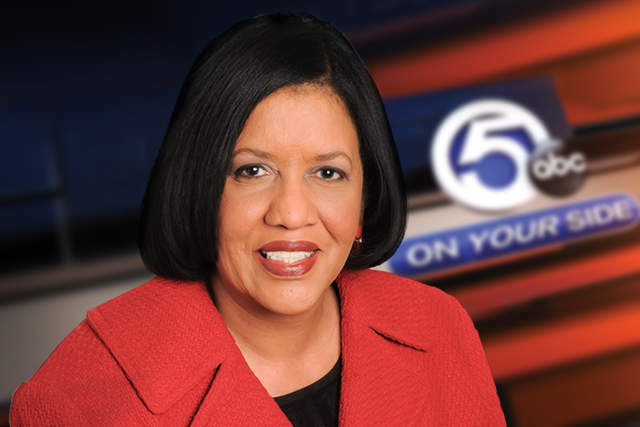 Awards/Honors: 2008 inductee to the Broadcasters Hall of Fame, Akron. Recipient of numerous awards, including National Headliner and Emmy. Favorite Foods: Mac and cheese. Family: Daughter, mother, uncle and a bunch of cousins. Something most people don’t know about me: I get really, really nervous talking in front of a live audience. What I like best about Northeast Ohio: You can do anything here that you can do in New York. It’s less expensive and the traffic isn’t as bad. On weekends I love to: Relax, spend time with family and close friends.